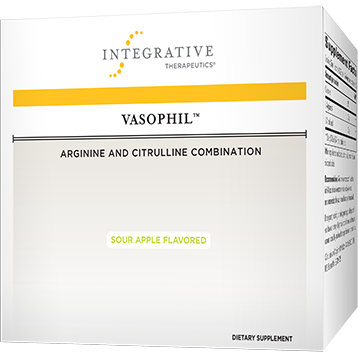 Vasophil is a combination of free form amino acids designed to support nitric oxide (NO) production and healthy peripheral circulation. Unlike many other nitric oxide supplements, Vasophil contains both l-arginine and l-citrulline to support healthy cardiovascular function, vasodilation, blood flow, and sexual function. Arginine is involved in immune function, ammonia metabolism, and the secretion of hormones and is perhaps best known as a biochemical precursor to nitric oxide. Citrulline acts as an arginine precursor for NO synthesis and plays an important part in NO metabolism and regulation. As with other amino acids, the effective dose range for arginine and citrulline is 3 grams or more of each. Suggested dosing: Mix the contents of 1 sachet in 6-8 oz. 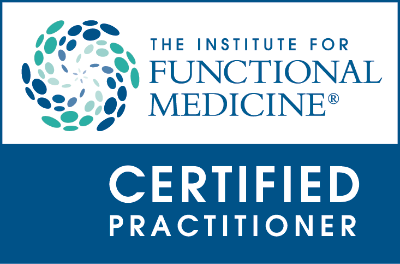 of cold water or juice daily, or as recommended by your healthcare professional.